British craft gin producer, Warner Edwards, is to debut at the RHS Chelsea Flower Show 2018, with an Artisan Show Garden, designed by Tamara Bridge and Kate Savill. The garden will be a re-imagining of Falls Farm, Northamptonshire, where the distillery is based and will reflect the surrounding landscape through key design features of stone, copper and natural spring water. Kate and Tamara have designed the garden with the input of Tom and Tina Warner, the ‘farmers’ behind the award-winning gin brand. They will be designing a garden inspired by the farm’s botanical gardens and hedgerows, showcasing many of the natural flavours used in the creation of Warner Edwards’ hand-made artisan gins. The garden will feature roughly 40 different plants – all either botanical, wildlife friendly or edible – with much of the planting being part of the Lamiaceae family, which is said to promote good health in bees. Other plants will include those reflecting the flavours of the gins produced by the company, including elderflower and sloes, all of which are foraged from the hedgerows of the English countryside. Commenting on the garden Tom Warner, founder of Warner Edwards, said: “It’s great news! We can finally prove why our naturally flavoured Victoria’s Rhubarb, Elderflower, Melissa Balm, Sloe and Honeybee gins are so special and authentic. It’s the ideal opportunity to show people first-hand the natural botanicals and ingredients we use in our distillations. “Our botanical garden was inspired by my late mum Adèle who was a really keen gardener and advocate of the RHS so I’m sure she too would have been delighted to hear we are taking our little part of the English countryside to Chelsea,” he said. Every bottle of Warner Edwards Honeybee Gin is sold with a packet of wildflower seeds to encourage the planting of bee-friendly gardens and spaces. 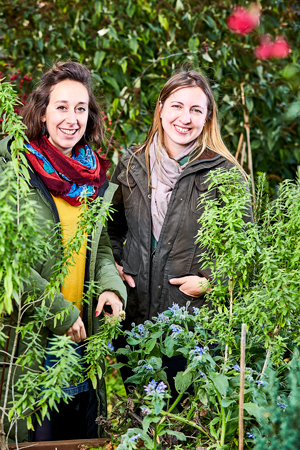 Kate and Tamara (pictured above left) are no strangers to RHS Chelsea. 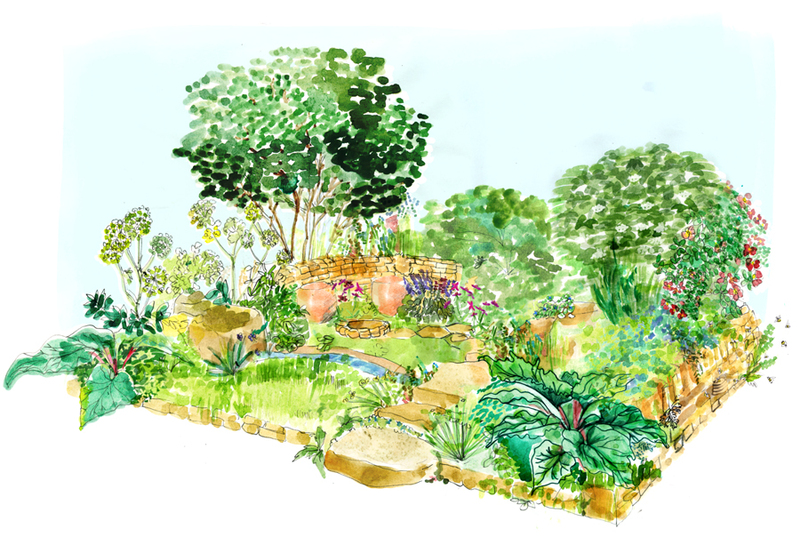 They created the Jo Wiley Scent Garden as part of the BBC Radio 2 Feel Good gardens at RHS Chelsea last year, working with fragrance designer Jo Malone to create a garden with unique aromas. Tamara was awarded a gold medal and the 2015 RHS Young Designer Award at RHS Tatton Park. Kate, who was also participating in the same competition was a runner-up with her garden also winning a coveted Gold medal. Clearly, this is a talented duo and after their Chelsea Gold medal winning success last year, there is no doubt that this delightful sounding garden, which features in the Artisan category, will be one to look out for and of course if you like gin…. Well!